The result can sometimes be surprising. 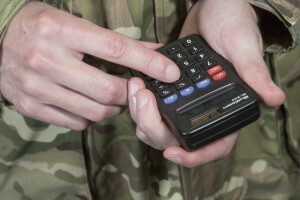 Moving around with the military doesn’t always help your credit score, although significant effort has been made in recent years to improve awareness within the financial industry of the circumstances of military personnel. We’ve put together some useful tips to help maintain a healthy credit score regardless of your location. How does a credit rating score work? Your credit score measures you as a financial risk. A poor credit score can make it difficult to borrow money. This can affect your application for credit cards, motor finance, a mortgage and other services such as mobile phone contracts. How is your credit risk measured? What is likely to make you a poor credit risk? Make joint applications for credit such as motor finance. This will help both you and your partner build up evidence of good credit management for the future. There is no quick fix. A reputation for being a bad credit risk can take time to improve, but there are steps you can take to help the process along. If you’re struggling to make ends meet talk to the credit company or seek advice from a credit counselling service to help you get back on track with your finances. If you feel that you’ve been treated unfairly when seeking credit due to your military lifestyle, you can appeal to the Financial Ombudsman . For more information on how to apply for credit you can check out Money Force. To learn more about how to manage your money, go to the Money Advice Service website.